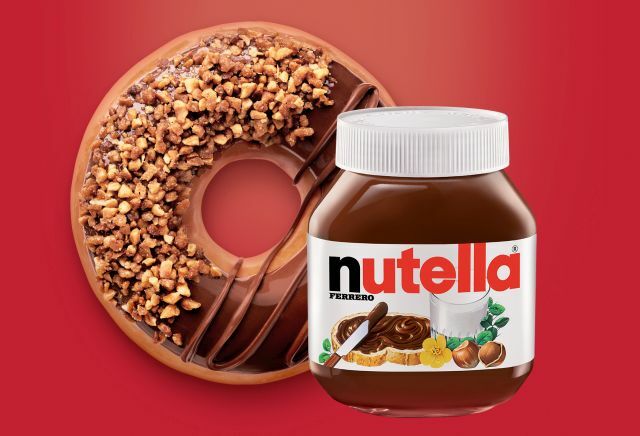 While new products don't tend to launch this late into the holiday season, Krispy Kreme introduces two new donuts topped with an even layer of Nutella hazelnut spread at participating U.S. locations. The Nutty Cocoa Ring Donut is a yeast ring donut dipped in Nutella hazelnut spread and topped with crunchy hazelnut pieces and a drizzle of chocolate icing. 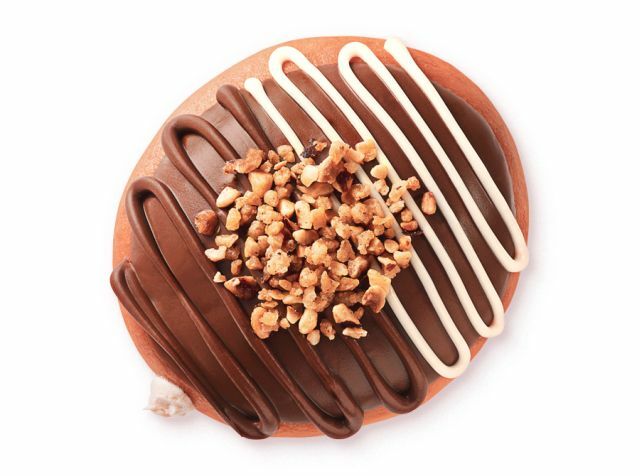 While it isn't quite enjoying the same marketing push (maybe due to limited availability), Krispy Kreme has also introduced the new Chocolate Hazelnut Kreme Donut at participating locations. It's a a yeast donut filled with a chocolate hazelnut Kreme, dipped in Nutella and topped with candied hazelnut topping plus a drizzle of chocolate icing as well as white icing. Although it's the first time a Krispy Kreme donut has featured Nutella here in the US, the donut chain regularly offers a Nutella-filled donut in the UK, where it was introduced earlier this year. They've also sold something similar over in Puerto Rico (a US territory) back in 2015 and continue to offer various donuts featuring Nutella there. The price on both limited-time donuts may vary but go for $1.59 in my area. You can find a list of participating locations that carry the donut on their website here.